Zacatecas offers lodgings to fit any budget big or small, from upscale boutique hotels in the city's colonial center to modern corporate-style hotels on the city's fringes, Zacatecas has a wealth of various hotels and lodging choices. 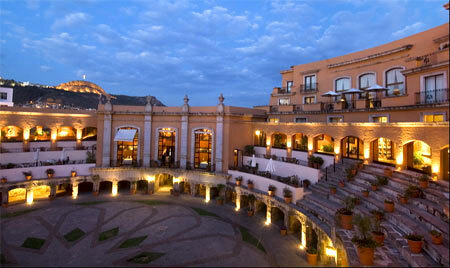 Zacatecas has several unique hotels unlike any other area in Mexico. Here you will find old 18th and 19th century mansions that have been converted into hotels. In Zacatecas there is a five stars hotel, located in the outskirts of town, was made in the ruins of the San Pedros bull-ring, and itÂ´s consider one of the most luxurious and original hotel in Mexico. Below is a list of types of hotels and resorts in the Zacatecas area of Zacatecas, Mexico. Click on the listings below to view hotels in Zacatecas.